Few things in life are as stressful as an employment termination. Very often, employees feel their backs are up against a wall. That isn’t the case. Terminated employees do have some rights they should know about. Should an Employment Law Attorney Review Your Severance Agreement? Employment termination may come with a severance agreement that compounds the pain. Yes, without question. An experienced employment law attorney has the knowledge and training to evaluate the agreement. As an Arizona employment attorney, I understand that an involuntary termination from work is emotional and stressful. You need an attorney with a proven track record of success to stand up for your rights and tilt the scale in your favor. What’s Behind an Employment Termination with Severance? Many employers offer severance pay or some other form of compensation to encourage employees to sign a separation agreement right away. Regrettably many terminated employees do this. It’s understandable: many are frankly shocked and just take the money and run without fully understanding exactly what they have signed and why their employers paid them to do so. A severance agreement will describe the benefits the company plans to give you. But its main purpose is to get you give up your right to sue the company for any claims you may have against it. If you were wrongfully terminated, you may have claims worth more than the severance agreement gives you in exchange for waiving them. Perhaps the severance agreement includes a non-compete provision which would make it hard for you to find other work. That should not be the case. Maybe it simply does not provide enough money given the time you’ve worked for that employer. Employers pay their attorneys a significant amount of money to carefully draft agreements which would otherwise trigger legal questions from experts like employment attorneys. You should always have an employment lawyer review a severance agreement. The employment lawyer will want to talk to you about what work you want in the future and the reasons you were terminated from your job. This helps the attorney to assess the claims you may be waiving and help you negotiate and enhance the severance agreement to your benefit. Sometimes this simply means requesting more money, but some severance agreements need to be adjusted to let you get on with your life. In spite of what your employer, or his/her attorney tells you, everything is negotiable. Nothing is truly in stone. Let’s face it, job losses happen and often at times when you least expect it. Reality #1: Employment termination can be traumatic. Mental health experts say they are as stressful as divorce or even the death of a loved one. The anxiety of a termination is further heightened when the employee is presented with a severance agreement to sign on the spot. Am I getting what I am entitled to receive? Am I giving up something of value? Am I within my rights to request more severance pay and/or better terms? Reality #2: Everything’s negotiable. The biggest mistake employees make is believing the agreement they are offered is standard and can’t be changed. Listen to me: severance is not the Ten Commandments etched in stone tablets, with no wiggle room for enhancements. Employers get uninformed (and probably shocked) employees to sign and get a very little carrot dangled in front of them. However the reality is far different as there is no such thing as a “standard agreement.” The only standard thing about separation agreements is that they are one-sided and not drafted for the benefit of the employee. Because employment separation agreements are important contracts, they should be reviewed with an attorney. Not only does this give you more peace of mind, answer your questions, and give you some facts about your rights, it’s often been my experience that the terms of a severance agreement could be significantly enhanced. Reality #3: Most severance agreements get more from employees than they should. Just because a company offers a severance agreement does not mean that you should accept it. You may be waiving your rights and not know it. 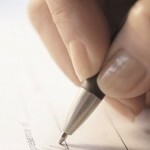 Employment separation agreements usually accompany layoffs and other forms of employment termination. 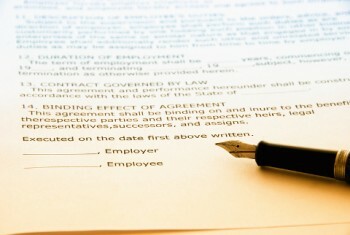 Your employer might call yours a “Termination Agreement,” “Severance Agreement,” or “Separation Agreement and General Release.” Whatever it’s called, at first glance it may look like an unchangeable boilerplate document. Keep in mind that these documents are written with the employer’s advantage in mind. They are important contracts and as such they should be reviewed with an attorney. Today, every employer’s separation agreement contains language which states that the employee was provided with adequate time to consult with a severance attorney and/or waives their right to a lawyer. That provision is placed in there to solidify the agreement for the employer in case they need to enforce it down the road. Take that time. If you have been asked to sign a severance agreement you didn’t ask for, contact my office for a consultation.